Spice racks don’t really work in my world, because they aren’t the size of bookcases. So I have a couple of kitchen drawers dedicated to making a spice pile.. which is problematic when I want something. That aside spice boxes are the bomb.. the problem is getting one big enough, but not quite as big as a Korean apothecary chest. which isn’t a bad idea. I like Indian spice boxes, but would need to stack them like a dabbawalla and then have too hear how weird I am, as if I cared. I do have some small antique chests that on occasion get used as spice boxes, but they tend to get pre-empted for storage as needed and hidden away somewhere. 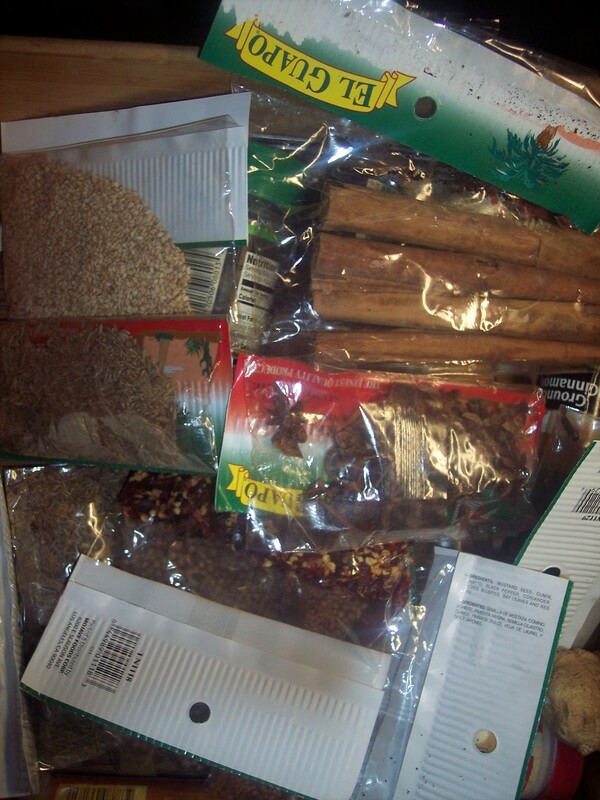 Most American type spice chests are too small, which is kind of an issue.. one good sized dried chili fills a drawer.. I think a trip to the tobacco shop is needed so some cigar box re-tasking can be looked into…or a humidor..